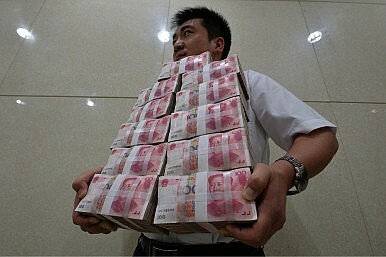 Is China Getting Ready to Clean Up Its Debt? A number of signs suggest that it might be. It will be a fine line to walk, if so. China watchers can’t have helped noticing that the economic news coming out of the country was beginning to look more positive towards the end of summer. Purchasing Managers’ Indices (PMIs) have improved, house prices are pushing ahead again, the Shanghai Composite Index has made gains, and the Industrial & Commercial Bank of China (ICBC) has returned to its position as the world’s biggest bank as measured by market capitalization. Indeed, there are growing signs in China that some sort of “mini-stimulus” has been carried out to counteract what Beijing had probably been viewing as an alarming slowdown throughout the first half of 2013. As discussed elsewhere in The Diplomat, China’s slowdown was placing increasing pressure on the country’s financial system and economy with all the potential problems such pressure could cause. The measures that are emerging could be seen as an attempt to halt or reverse the overall slide, but more significantly they are likely ways to buy more time so that the necessary reforms can be enacted at a slower, less disruptive pace. The signs of this mini-stimulus (or slight easing) emerged piece by piece throughout the summer, and came on top of yet another credit surge in the first part of the year. For example, reports showed that the Agricultural Bank of China (Agbank) was extending a large line of credit to the city government in Shanghai. The RMB 250 billion loan (equivalent to more than 10% of the city’s GDP last year) will be used in part to fund the entity controlling the Shanghai Disneyland project, and also to support development of the city’s long-awaited free trade zone. In another sign, the gigantic China Development Bank (CDB), one of Beijing’s formal policy banks, was reported to have signed MOUs with three provincial governments: Hebei, Jiangsu and Qinghai. The financing that will follow will be used for various projects, including at least one more airport as well as public housing, waterways and regional transport infrastructure. The fact that it was local governments popping up in these reports raised a few eyebrows among China watchers, since the country’s National Audit Office is currently undertaking a massive audit of all government debt. This audit was ordered by Li Keqiang’s State Council, and followed a confession by Vice-Finance Minister Zhu Guangyao that Beijing didn’t know the full extent of local government borrowing – which all agree has spiked since 2008. Estimates for the total amount range to above USD$3 trillion, with some provinces and lower level governments being particularly exposed. Even before the audit got underway, suspicions were raised about how much, if any, information would be made public and how reliable it would be. It is clear that Beijing at least needs to know what the situation is as the economy enters its phase of restructuring and rebalancing, but even that is not assured. So what exactly is Beijing doing in the face of slowing growth and an uncomfortable turn towards pessimism? It is clear that avoiding or delaying the emergence of significant financial distress, particularly in the form of explicit non-performing loans (NPLs), might be considered. The three usual methods of doing this are either to write down the NPLs and bail-out some of the entities that end up in crisis, roll-over the troubled assets with new lending and restructuring, or transfer the bad debts somewhere else, thus freeing up the normal financial sector to continue lending despite previous mistakes. Municipal bonds issuance, shadow and formal lending all facilitate the ongoing expansion in outstanding credit (from already high levels). That credit expansion in turn enables growth to continue and previous non-performing assets to be papered over. This process appears to be continuing and constitutes one string in Beijing’s bow.